Grow what you love, love what you grow - all year long! 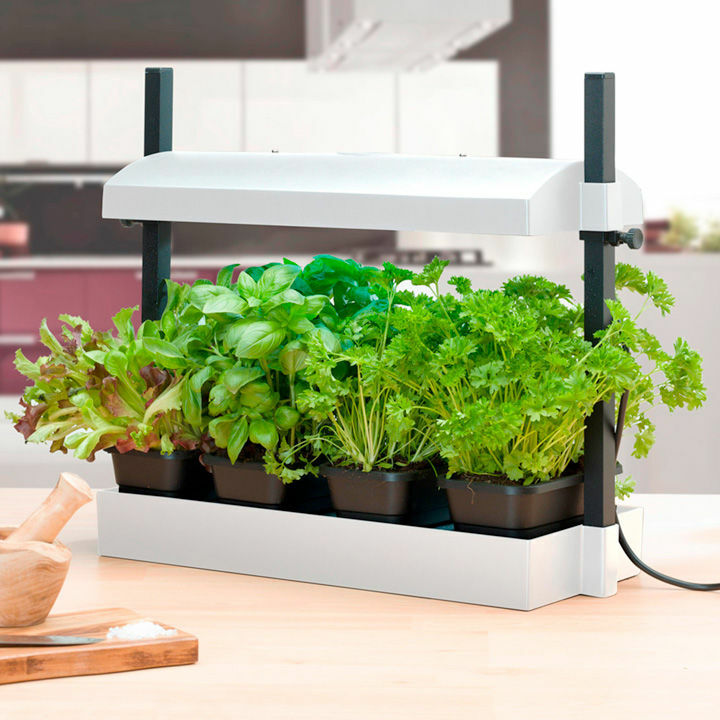 Full spectrum (6400K) grow lights replicate natural sunlight for year round growing. 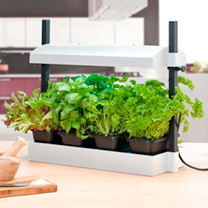 Perfect for growing salads and herbs or for early season seed starting. Use also to boost flowering house plants out of season. Features a high efficiency Sunblaster 11 watt high output light, consuming 20% less power than a standard domestic light bulb and giving 10,000 hours of use. NanoTech reflectors reduce heat build up and maximise performance by reflecting 100% of the light towards the plants. 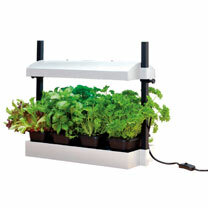 Supplied with 4 reusable tough growing trays [17cm (6½”) long x 10cm (4”) wide x 5cm (2”) high] for easy succession planting. Includes raised platform insert and capillary matting allowing plants to self water for up to 14 days (subject to climate conditions). 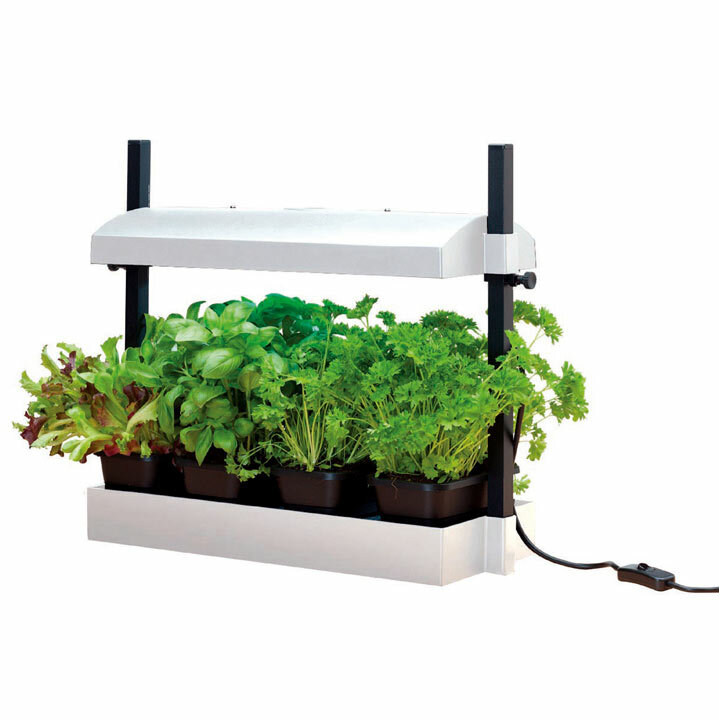 Canopy height adjusts easily to a maximum of 38cm from the base to achieve optimal plant growth. Perfect for use in the home, office or restaurant. Manufactured from 100% recycled tough plastic and sturdy aluminium. Electronic ballasts eliminate annoying buzzing while in operation. Please note some home assembly is required. Size: 50cm (20”) long x 20cm (8”) wide x 45cm (18”) high.